You live in a house that is stuffed with lot of things? Do they pose a threat to the toddlers? Here’s the ultimate solution without spending too much. Having a lot of items like sharp tools, furniture and sports gears at your home is like inviting injuries. This is true especially true for toddlers who can bump into these materials while playing, walking or running around. Most people like the idea of owning ski boats, vintage cars, canoes, etc. If you do not have enough room for these items or if you are looking to provide protection against the weather conditions, then renting a self storage unit can be the best choice for you. Why choose storage and moving facilities? A self-storage facility that is run professionally allows you to store the things at a secure storage unit and therefore de-clutter your home. This means no more threats to toddlers. Also you can easily access things whenever you need. A storage facility provides a clean, dry and secure environment suitable for storing valuable items like paintings, furniture, sports gears and automobile. We are one of the foremost Beirut International Movers. 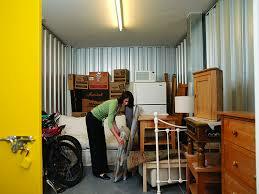 Contact us for any storage and moving needs.